tools for digital media archiving. Available in Express, Enterprise and Cloud Editions. 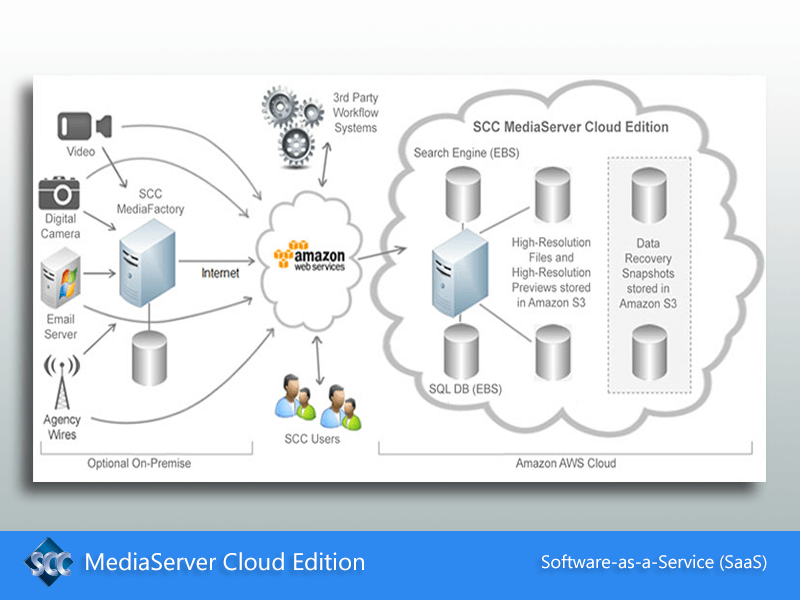 SCC MediaServer DAM systems store millions of digital multimedia assets created by News and Entertainment Media Industry sites throughout the world. Typically used in deadline-critical workflows, SCC MediaServer systems provide scalable, highly available archive repositories for digital assets, fulfilling high user and feature expectations, and providing bi-directional integration with 3rd party production and content management systems. In these mission-critical environments even a minor disruption can be enough to prevent business continuity, placing high demands on both the system itself and the support organization behind it. 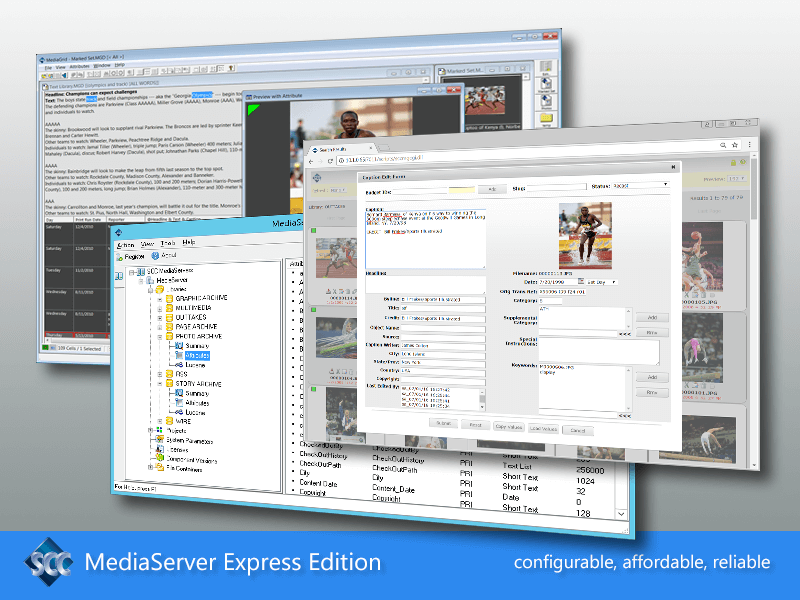 SCC MediaServer offers cross-platform support, compatibility with the latest digital media formats, read/write support for Adobe XMP metadata standards, integration with the Adobe Creative Suite of applications, and proven reliability, scalability, and performance. 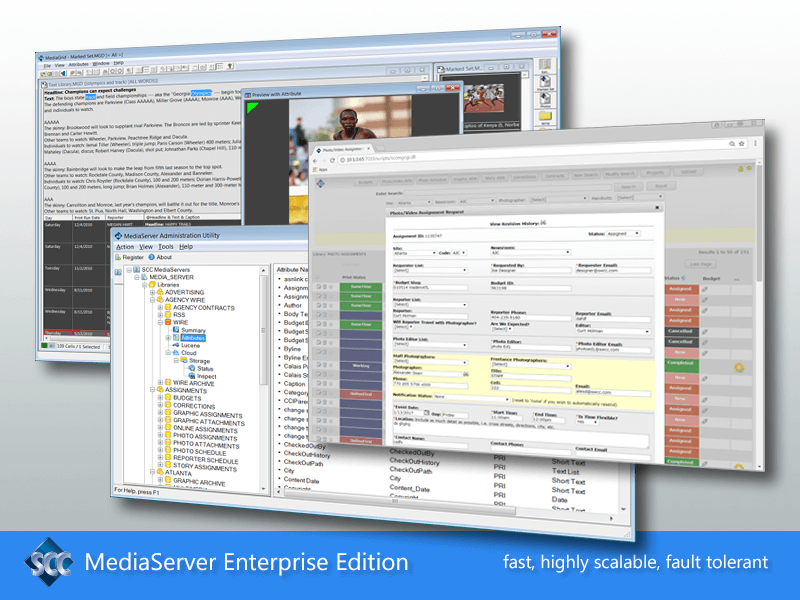 SCC MediaServer systems support multi-platform client access, compatibility with modern digital media formats, read/write support for the latest metadata standards, and integration with 3rd party desktop and server applications. 64-bit VM and cluster-aware design supports scalable system configurations providing unsurpassed performance and reliability. Granular database design, distributed search and indexing engine, and multi-channel workflow architecture supports parallel processing across multiple clustered server nodes. 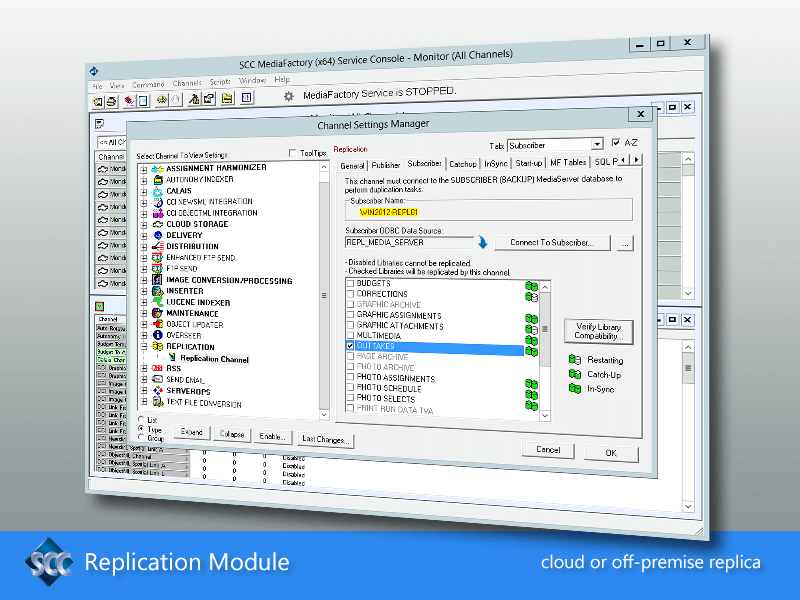 Integrated replication software supports real-time data mirroring to one or more redundant SCC MediaServer systems located in one or more geographical high-availability zones. Supports cloud-based and hybrid server and storage infrastructures utilizing Amazon EC2 and S3 AWS frameworks. Send and receive data from network shares, FTP sites and Email servers. Process digital images in most commonly used formats. Process RAW digital camera images, automated ICC color profile mapping. Ingest Postscript vector images and documents in EPS and PDF formats, including auto-extraction of embedded text. Transcode and ingest audio and video files in most commonly used formats. Ingest Microsoft Office documents, in Word, Powerpoint, Excel formats, including auto-extraction of embedded text. 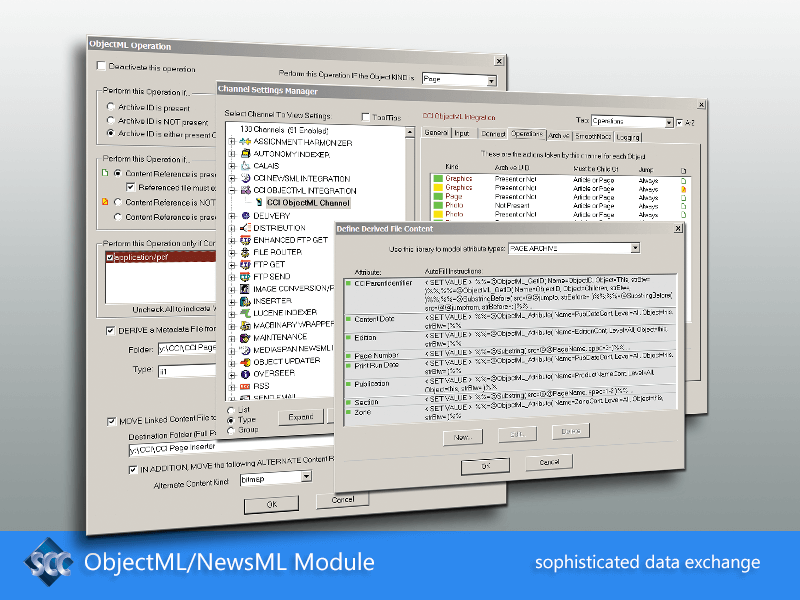 Process text data in most commonly used formats, including XML, Html, Iptc, ObjectML/NewsML, tagged structured text, plain text. Microsoft Word extension for enhanced metadata editing. Interfaces to 3rd party applications including Brightcove, Reuters OpenCalais, Twitter, RSS, WordPress. 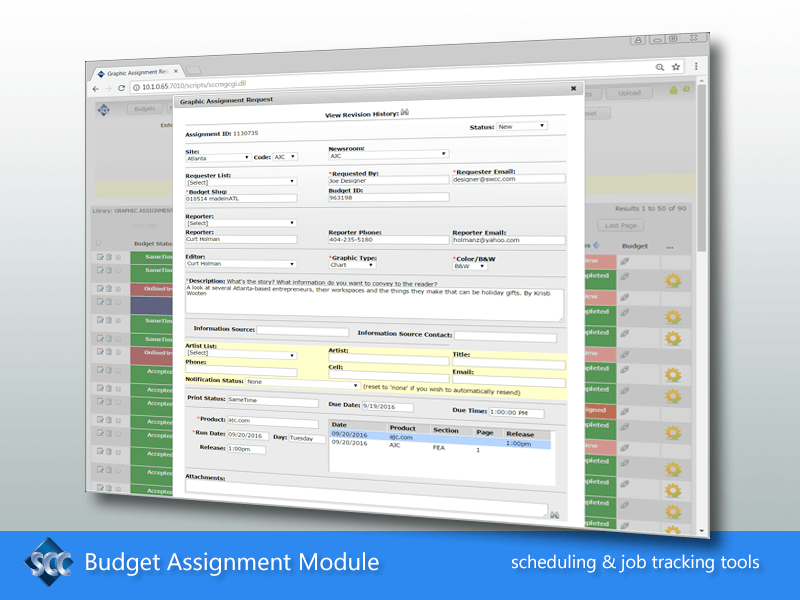 Agency contract, staff scheduling, story budgeting and assignment workflow tools. Ingestion of data from RSS and Twitter feeds. Automated delivery of content to CMS systems and online vendors. 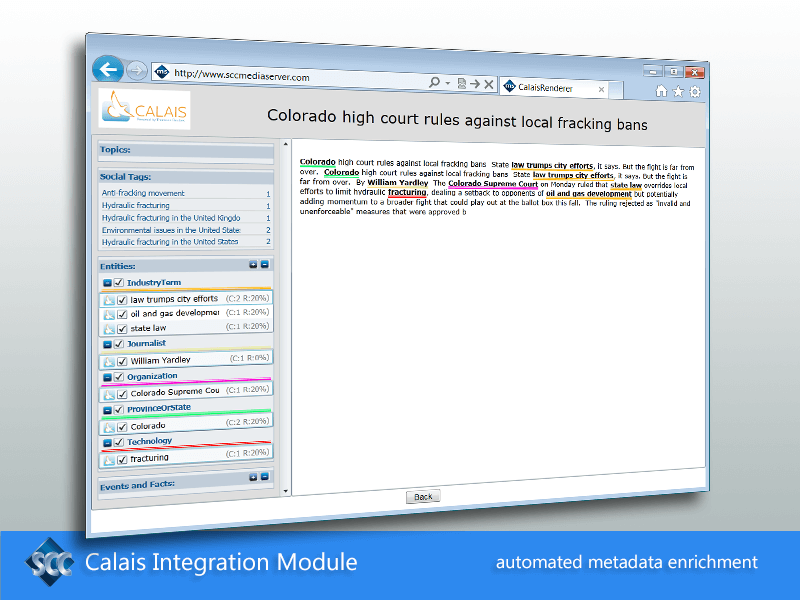 Integration with Reuters Open Calais for automated metadata enrichment. Integration with Brightcove Video Platform for automated video archiving. Transcoding video files into rich media packages consisting of high definition video, thumbnails, keyframes, and streaming proxies of varying size and resolution. 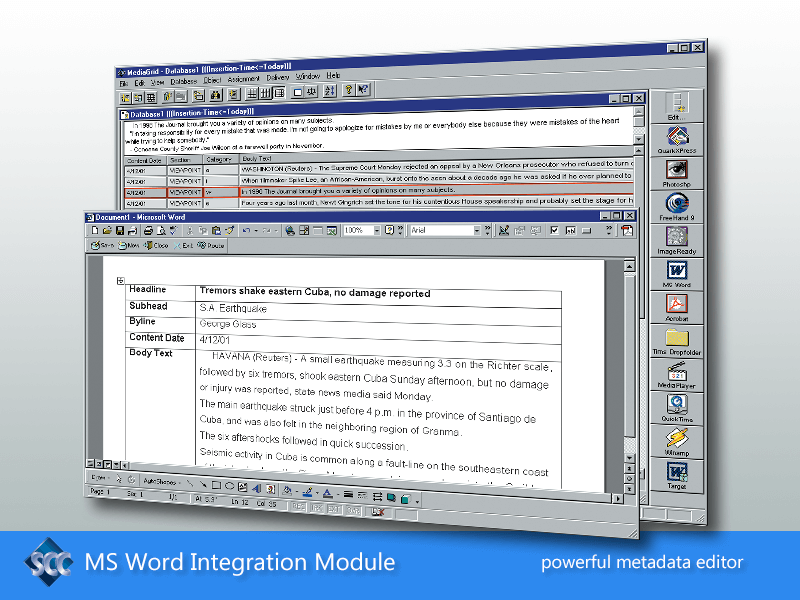 Customizable client integration with Microsoft Word for enhanced metadata editing. Offsite or Cloud based Data Replication for Disaster Recovery. 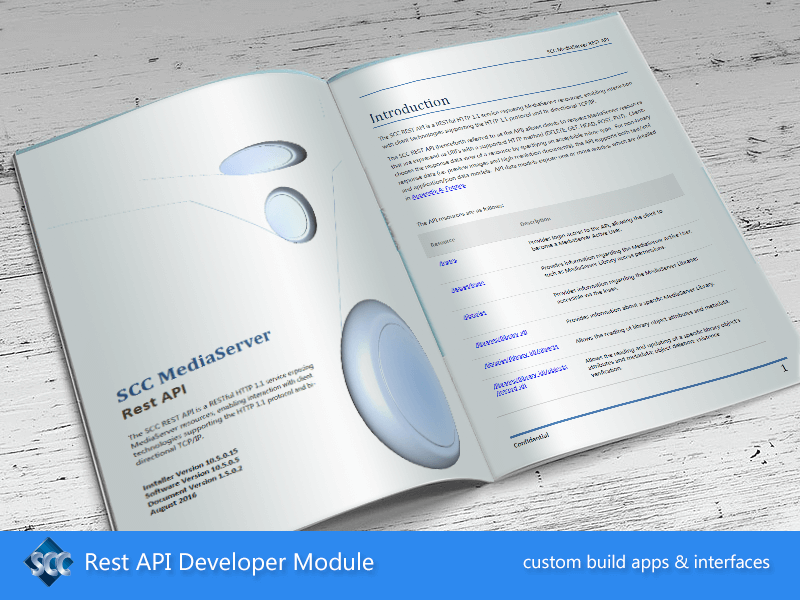 Developer level Rest API for custom integration and client application development. Provides a low-cost but high-end introduction to digital asset management allowing archived assets to be searched, browsed, edited and downloaded, and the creation of complex media workflows. A fully-automated, multi-channel, multimedia workflow engine, and a key component of the SCC MediaServer digital asset management system. 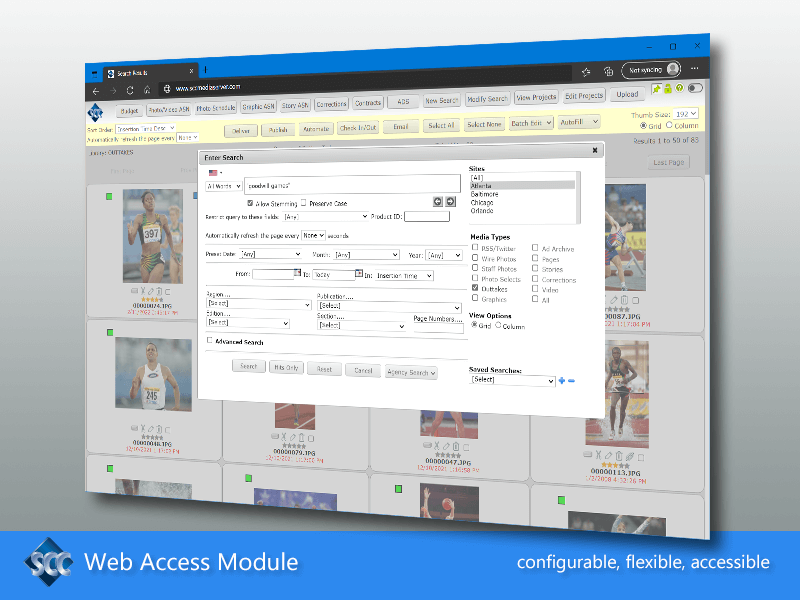 Provides cross-platform access to the SCC MediaServer system from a standard Web browser application (Safari, Firefox, Chrome, Edge, Internet Explorer). Allows records to be marked for automated delivery to one or more destinations. Includes SCC MediaFactory ServerOps server-side scripting facility. 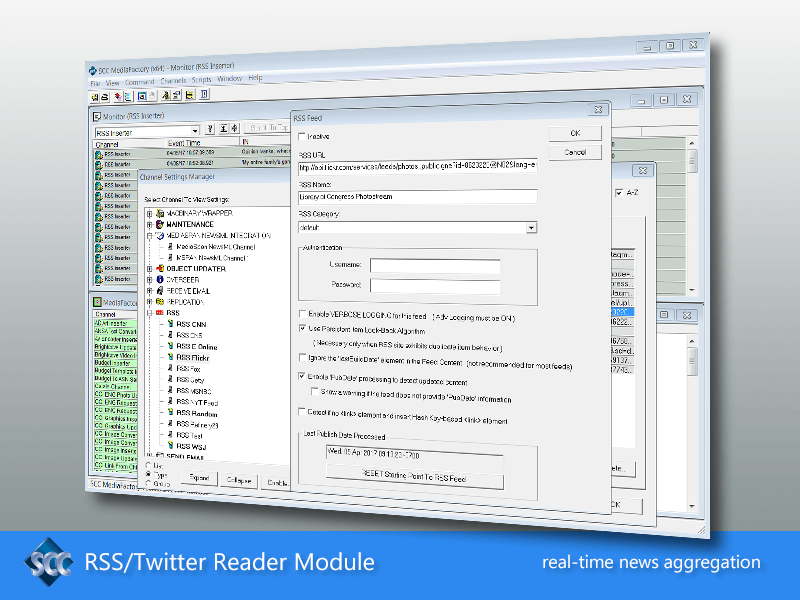 Automatically retrieves content from one or more RSS or Twitter feeds and inserts it into SCC MediaServer librarie. Supports the same search and retrieval techniques available for all SCC MediaServer content. Interfaces SCC MediaServer to the Reuters OpenCalais Web Service in order to automatically generate rich semantic metadata for content stored within the SCC database. SCC MediaServer is a highly scalable digital asset management system that will meet the most demanding requirements, with little to no startup costs. Choose a managed system installed in the Amazon Cloud or a system installed onto your existing on-premise infrastructure. "Since 1999, we have been searching for an electronic photo schedule for the Post-Dispatch's photo staff. During a recent SCC major story budget upgrade, I bounced the idea off Alexander Doerr at SCC to see if there was anything they could do to help us come up with an electronic photo scheduling system. Most digital schedules we looked at were based on calendar months and our department rotates every 4 weeks. The crew at SCC was able to develop 4-week schedule that reflected all of our rotations that reflected each photographer's work schedule. Because of their great work, we can eliminate the need to design a paper schedule for every workday. Because the photo sked is connected to our SCC budget, the newsroom staff can look to see which photographer is working on any given day. Thanks to Lee Funnell and the crew for bringing us to the 21st century and getting rid of our outdated paper scheduling system." "West Australian Newspapers has been an SCC customer for over 15 years now. So we had built up quite a large volume of hires data and managing that data growth on the local SAN was obviously another overhead on the infrastructure team. Getting the cloud storage module up and running was a breeze and it's set and forget design meant terabytes of information was simply moved out to AWS S3 with really no work at all on our part. Paired with the cross-region replication feature of S3 our data is safe and secure in the cloud." "Torstar first introduced an SCC MediaServer Enterprise environment in 2008 to host the archive of photos, text, graphics and PDF pages for its four daily papers (Toronto Star, Hamilton Spectator, Kitchener Record and Guelph Mercury). Because of its versatility, power, reliability and ease of use our organization quickly found additional uses for the system and expanded it to host not only the original dailies but also over 100 of our weekly products and to act as our main management platform for photo wires and photo assignment/fulfillment in house. It’s now an integral part of all our publication processes both in print and online. Since our humble beginnings SCC has helped us grow to where we are today with over a hundred separate libraries containing over 16 million records including photos, text, PDFs, videos, audio files, and RSS feeds which are accessed by hundreds of people across the organization daily. SCC has been a true partner in our growth, there with us every step of the way with advice, hands on help and support when needed. Definitely first class service all the way, we only wish all our vendors were as available and invested in our success as they are." 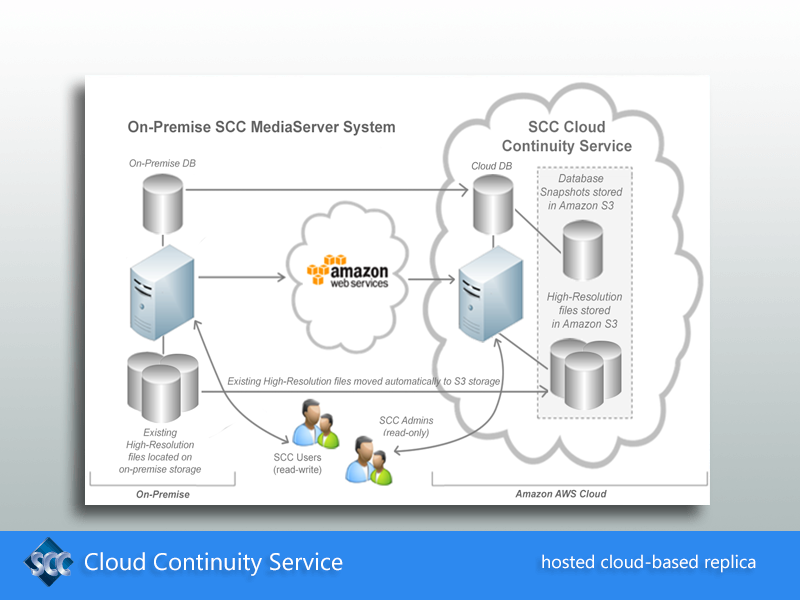 "About 18 months ago, we migrated our entire SCC implementation from an internal server-based system to a cloud-based system running on Amazon (AWS) Workspaces. We have been very pleased with the results, and SCC has continued to provide the same exceptional level of customer service and support we have come to expect from them over the years." "Our SCC MediaServer system has been a bulletproof, powerful and integral part of magazine production for over a decade. The support SCC provides is on a level virtually unheard of in today's IT landscape. You get someone on the phone immediately, they actually know what they're talking about and they resolve issues quickly"
"As with all their products, SCC understands newsroom needs and workflows. SCC develops modules that allow flexibility to integrate to our ever changing needs and demands rather than us having to change to match their software. 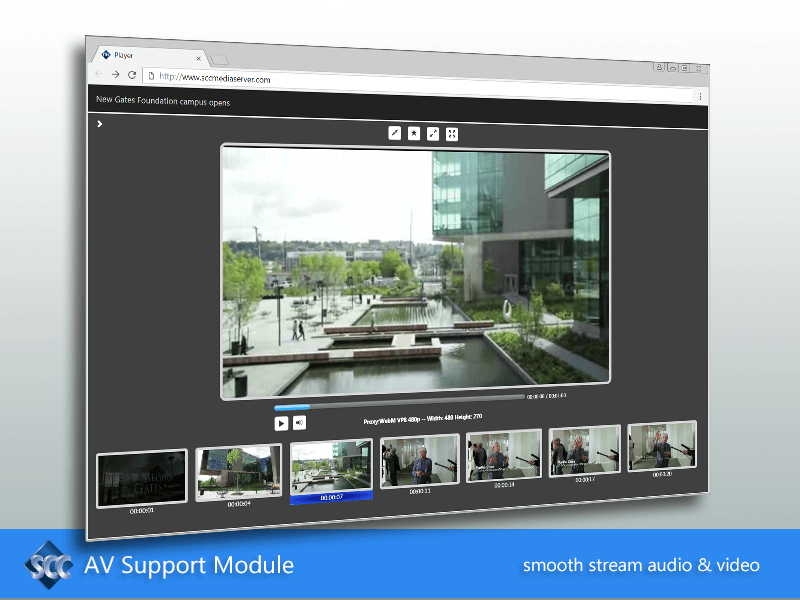 The SCC MediaServer Video Module allows us to utilize the premier streaming platform, Brightcove, for our viewers and meets the demands of our newsroom to archive, search and repurpose those videos with ease. This new functionality completes the digital image cycle for us. Linking photos, graphics and videos with assignments gives us complete control over all of our digital image assets. This is a very powerful tool in the new digital world." "Our decision to install MediaServer was multi-faceted. The need for a logical and flexible workflow for our photo department was mandatory but by no means the only factor. 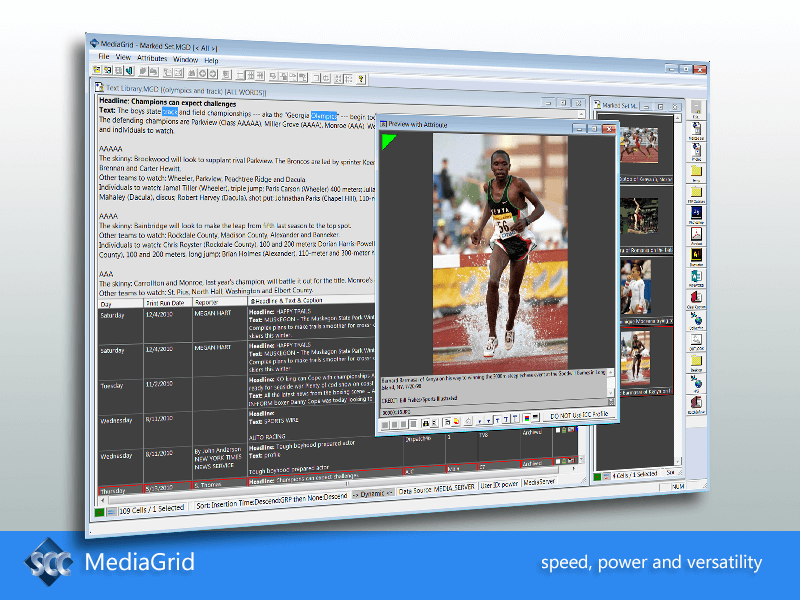 MediaServer is the complete package: outstanding archiving, excellent workflow and with a highly flexible user interface. After viewing demonstrations from a number of vendors, members of our Photo, Graphics, Library, News Design and Systems departments unanimously picked SCC MediaServer as the clear winner. When talking to and visiting with current MediaServer customers, we encountered constant enthusiasm for the system and heard how it has consistently exceeded their expectations. These factors and the ability of MediaServer to integrate easily with our current and future systems sealed our decision." "Not that I ever had any doubts in these guys, but the SCC archive system has confirmed everything my research suggested. SCC's support is second to none and they may very well make the best photo archive system on the planet - it rocks!" "Making the switch to SCC's ObjectML integration with CCI has been a great success for us. It's clean. It's fast. And there's a nice "wow" factor for newsroom staff when they search for a story and see links to the photo, graphic and page that went with it. That's been a big hit. As usual with SCC, they are terrific to work with. They're very responsive and get things done on time. They're one of the very best vendors we work with." 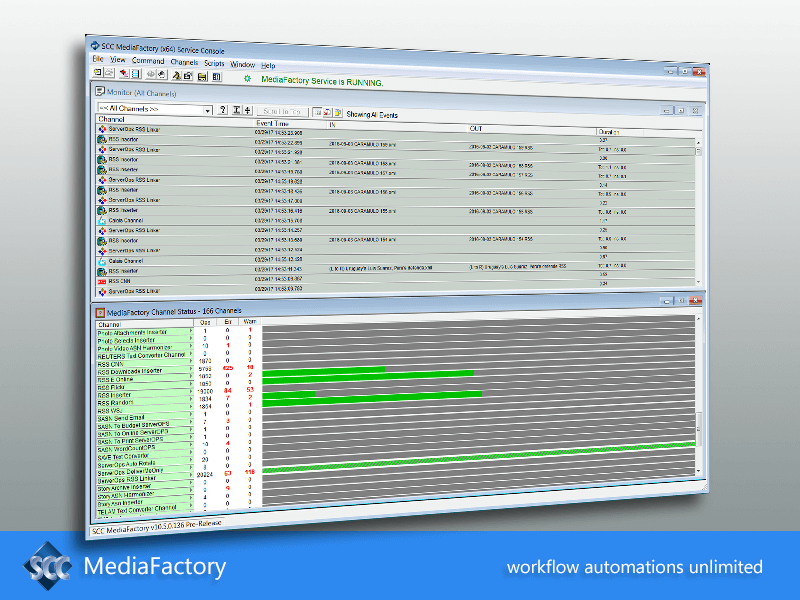 "SCC's MediaServer and MediaFactory have become an integral part of our production workflow, not only at the New Zealand Herald, but for 14 other newspapers and magazines in our group. As well as becoming a critical part of daily production, it has also become one of our most valuable resources in the form of a complete digital archive. As well as photographs and graphics, we also keep a complete archive of all stories published and pdf copies of all pages published. We've always found SCC software to be fast, reliable and flexible. The ability to customise the software to suit our specific requirements has made the implementation of the product across our group a painless exercise. The support we have received from SCC has been superb. My queries have always been answered quickly and completely. I have no hesitation in highly recommending SCC's products to anyone in need of a digital archive and/or production workflow system." "Our SCC MediaServer archive system has been in-place for over a year now and we are doing very well with it and are very happy. The system is very customizable and SCC support has been superb. SCC's use of an SQL database together with a high-end full-text search engine returns results extremely fast. The integration has been good and the system is running very well." "The installation and support we received from SCC during the first phase of the Scripps plan to move to a cloud environment has been excellent. We have received prompt attention to the requested needs of our photo editors and archivists. It has been a pleasant experience to work with SCC and we look forward to implementing more sites into our consolidation efforts." "The MediaServer implementation project is a great success. I have worked for the Dispatch for 10 years and have managed or worked on many projects with a number of Newspaper vendors and this is by far the smoothest and best implementation that I have experienced in the entire 10 years. SCC’s installation team has been excellent and instrumental in the success of the project. They should be commended for a Job Well done!" "Our SCC MediaServer implementation went extremely well. SCC provided dedicated, diligent installation services and support. The integration with our CCI NewsGate editorial system - photo assignments and workflows, and news archive - make it a great fit. The flexible import and export capabilities are impressive, as is the speed. I have received a number of emails from end users saying how much they love the SCC system. That alone speaks volumes."